WIN a personalised REN regime! Mountain Mavericks have been providing REN clean skincare products in our chalets and Hotel L’aubergade for all our guests to pamper themselves with during their stay. 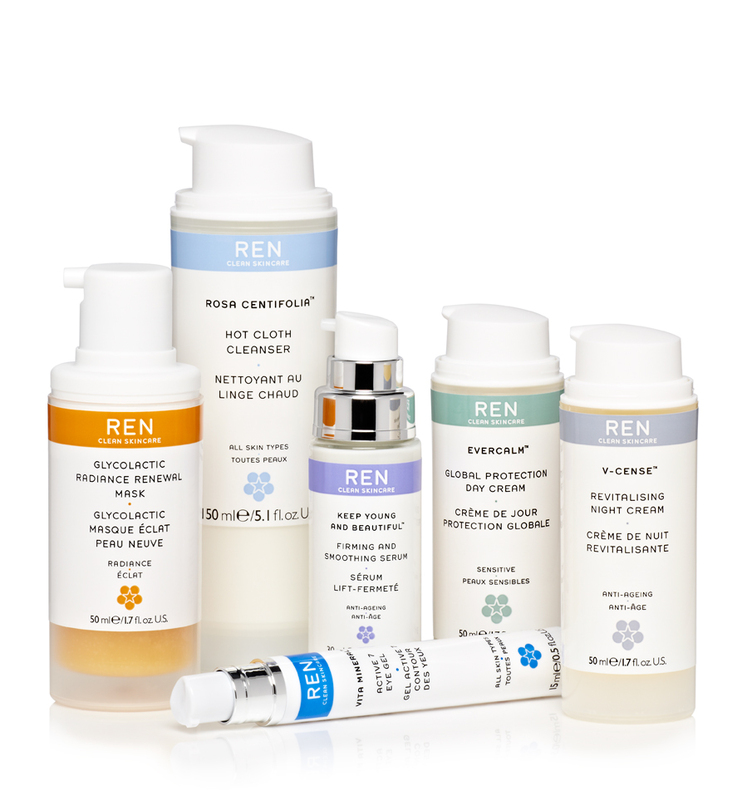 We LOVE REN products and are really excited to give you the chance to win your very own personalised REN skincare regime! That’s right, personalised! The lucky winner will speak with one of the REN skincare professionals who will assess their skin and pick the right products for them! REN is coming up to it’s 15th year of keeping our skin healthy and glowing and their philosophy of skincare ensures they only provide 100% plant and mineral derived actives, groundbreaking product formulation, the latest hi-tech actives, rigorous product testing and clinically proven results. Aside from all the techy stuff, they also believe that the texture, fragrance and experience of using REN can make the world a slightly nicer place to be and make us feel slightly nicer being here, which we like!!! It’s really simple! To win this amazing prize which includes a personalised skincare regime of 4 to 5 products all you have to do is head on over to our facebook (@Mountain Mavericks) or twitter (@MountainMav), find the post/tweet about REN, like/favourite and share/retweet it, it’s that simple! No need to do it on both, just your prefered social media is fine! Terms & Conditions – The draw is only open to European residents aged 18 or over. The draw’s closing date is July 31st 2014, all entries must be received by midnight on July 31st 2014, GMT. REN & Mountain Mavericks will contact the winners via email. The Promoter reserves the right in its sole discretion to substitute the prizes with prizes of comparable value if circumstances make this necessary. The Promoter or its agencies will not be responsible for the non-inclusion of entries as a result of technical failures or otherwise, including any such failure which is within the control of The Promoter or its agencies. Proof of submission of entry is not proof of receipt of entry. The Promoter reserves the right at its sole discretion to disqualify any person it finds to be tampering or to have tampered with, the operation of the promotion or the REN Ltd website, or to be acting in violation of these terms and conditions. Previous: Chalet Chambertin’s summer renovations get underway! Next: Simple Minds Come to Morzine!! !